Size: Two lots, each 50 feet by 136 feet. Together, the lots are 100 feet by 136 feet or 0.31 acres. Combined Property: $5,995 (save over $1,000 by purchasing both lots together!) - UNDER CONTRACT! Below is an aerial imaged of the two lots. 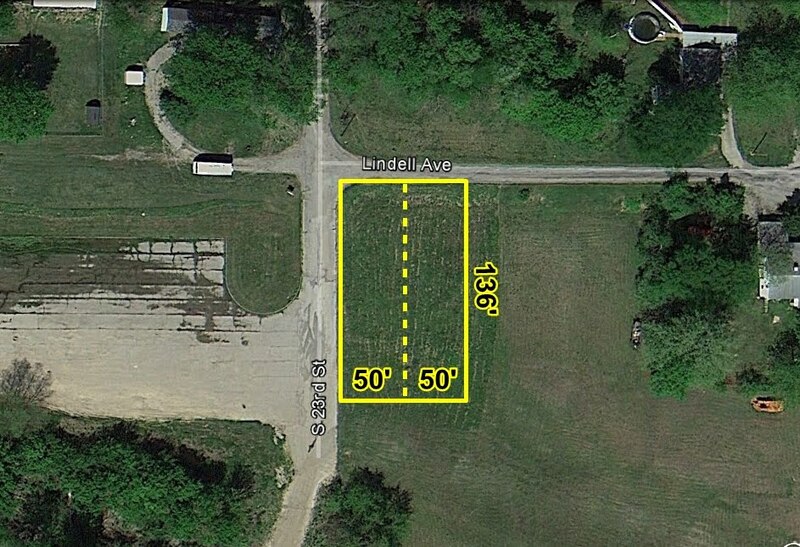 The dotted yellow line is the dividing line between the two lots. You can purchase either lot individually, or both of them! Below is a web album containing pictures taken in January 2013 which shows these lots as well as the surrounding area. As you can see from the pictures, these lots are right next to a public access ramp to the Big Muddy River! Below is an interactive Google map which shows the location of the property. These lots are located just east of Riverside Park, a public park.